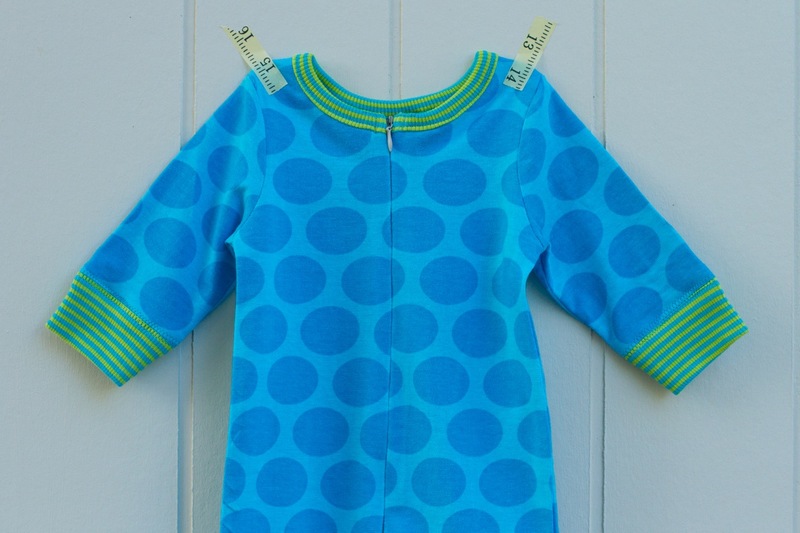 make it perfect: .Sewing for baby: spots. 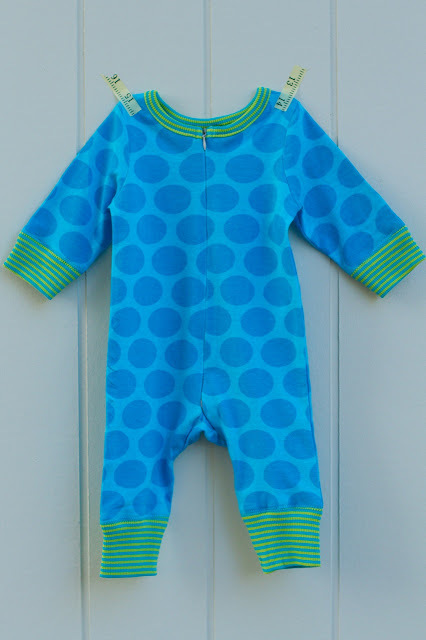 Another gorgeous and practical zippered romper from Ottobre 6/2012 "Nukkumatti Baby Sleeeper". And from the latest Ottobre edition 3/2013 - these super cute harem-style baggy pants made using the "Summer Sea Jersey Pants" pattern. These look like they are going to be a cute, baggy fit with snug waistband and leg cuffs. The leg cuffs can be worn down for long pants or rolled up for 3/4 length so should work well for the size 00 I've made and take the baby into Spring. 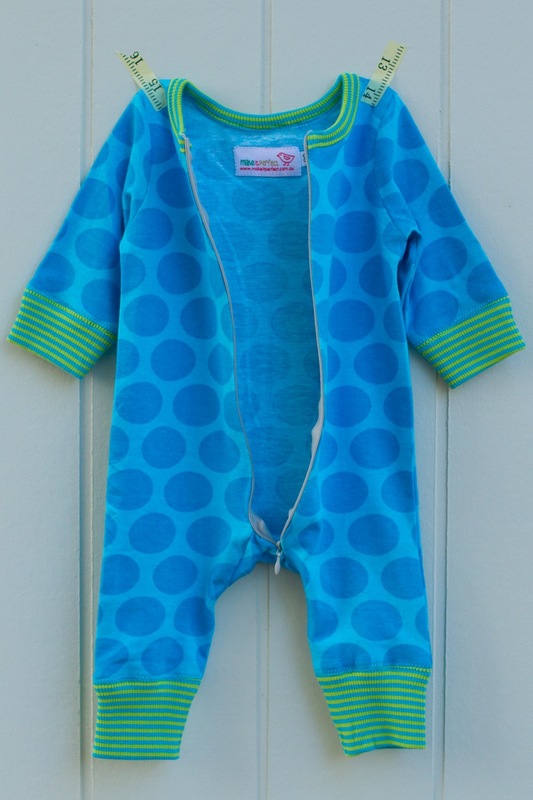 I made the coordinating bodysuit from Ottobre Winter 6/2012: "Kisuliini Raglan-Sleeve Bodysuit." I love this grey/green spot print - matches our house too! 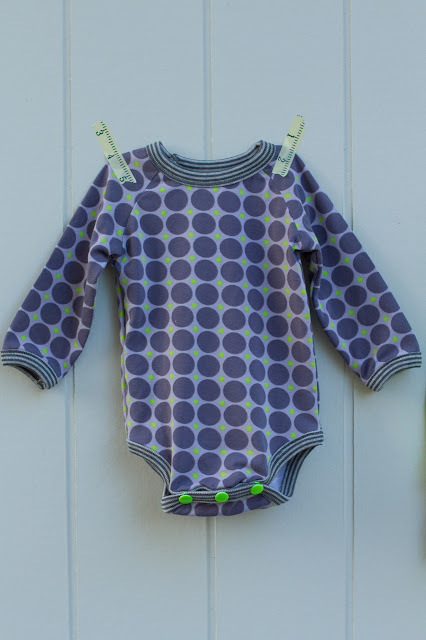 Would you believe that I've only got 2 more baby outfits to share and then I've blogged them all! I think that I have well and truly got enough size 000 and 00 clothes now - but that probably won't stop me from sneaking in another outfit or two if I'm still hanging around home for a week or more! You should make yourself some of these, very comfy for those long winter nights. Nope, still not sick of seeing all your cute baby clothes! 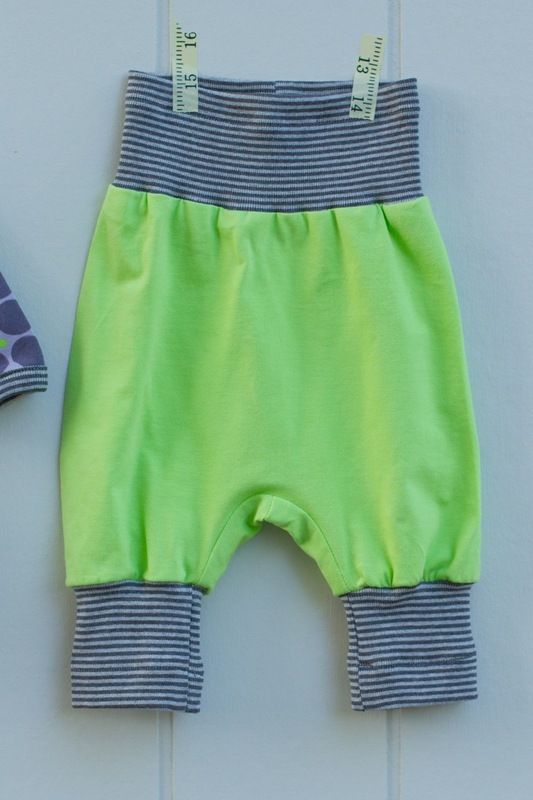 You totally need to sell these, LOVE the fluro pants & bodysuit - so cute :-) Good luck with the new baby! I am dying from the cuteness. Absolutely adorable Toni! Ha! Love Lorraine's comment! Great idea. Do it Toni, you can start a new 'around the house' fashion! Love all the clothes you have made. Super cute! Oh my goodness such cuteness! I now understand the point in making one piece outfits for babies. I love them. So very fun!